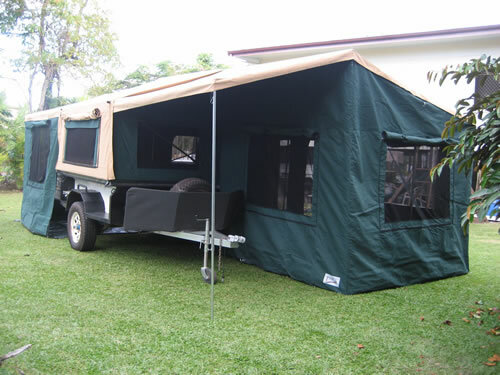 Custom built and constructed from Australian made steel. 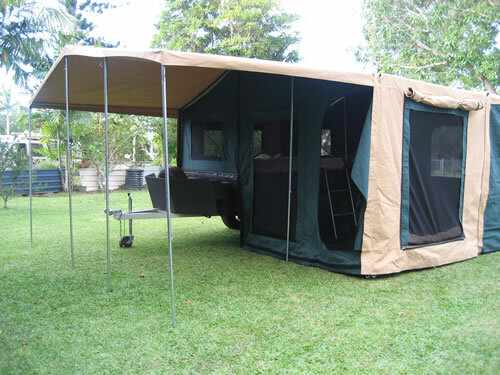 The Deluxe base unit can be bolted to a trailer or fitted with hinge and gas strut system. 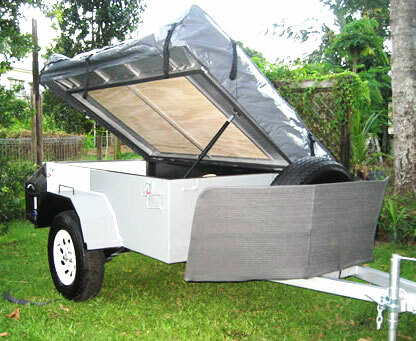 A tested product used in our hire fleet since 1997. 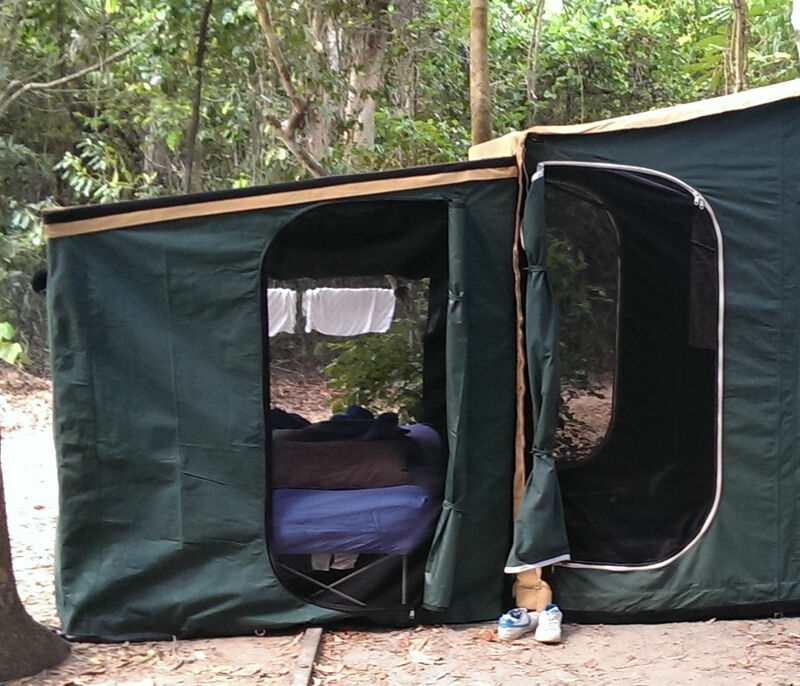 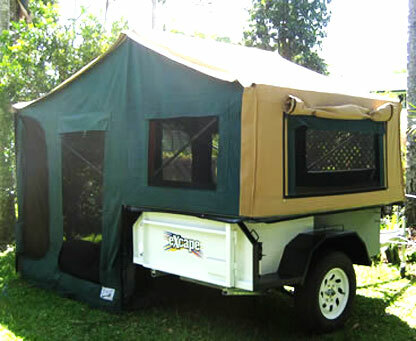 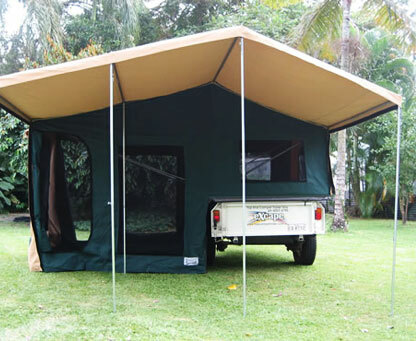 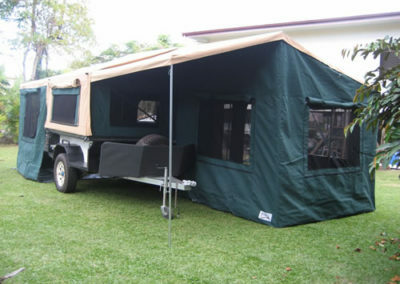 Our camper top come standard with features that many manufactures do not use. 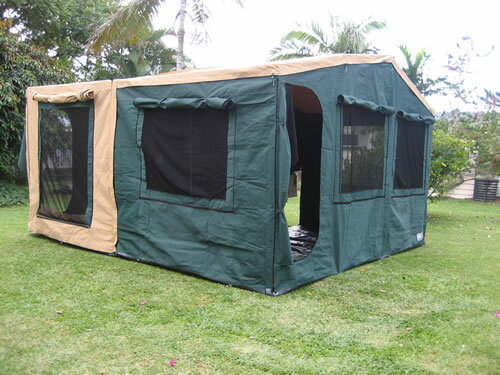 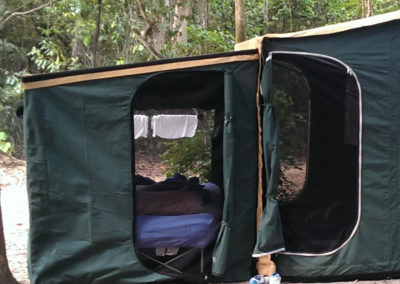 Dust covers are made from Heavy Duty PVC with a 3 stage dust seal process to give you peace of mind when you open your dust cover you have a clean and Dry tent. 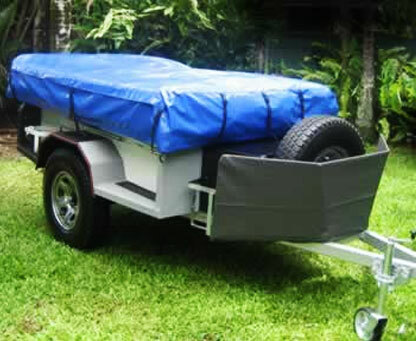 For ease of cleaning and for packing the tilt up base take the stress getting to those hard to reach locations.